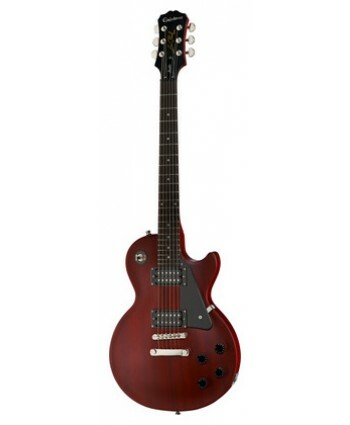 Epiphone Les Paul Ultra III FC electric guitar, Chambered Mahogany Body, AAA flamed Maple veneer, Glued-In; Mortise and Tenon Mahogany Neck, Slim Taper D Profile, Rosewood Fretboard, MOP Trapeze Inlays, 22 Frets, Nut width 42,85mm, Scale 628mm, 1x Epiphone ProBucker 2 (Neck) and 1x Epiphone ProBucker 3 (Bridge) Humbucker Pickups, Shadow NanoMag Humbucker Pickup (Fretboard), 1 Toggle Switch, Contro..
Epiphone Toby Deluxe-IV Bass TR, 5-string bass guitar, radiata body, bolt-on maple neck, rosewood fretboard, 24 frets, 34" scale lenght, 48,26 mm (1,90") nut widht, black hardware, Tobias SCR split-humbucker at neck and Tobias SCT split-humbucker at bridge, active Tonexpressor Bass Enhancement Control, color: Translucent Red. 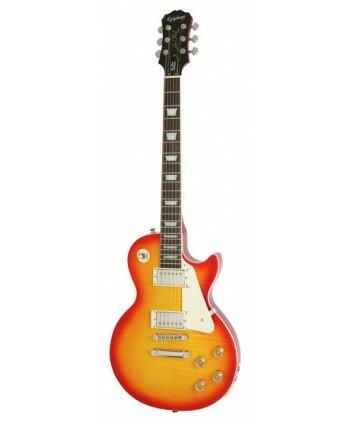 Epiphone Les Paul Studio, mahogany body, 2x Alnico Classic humbucker pickups, dot inlays, set in neck. 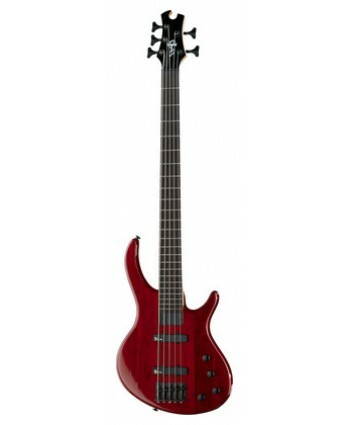 Colour: Worn Cherry. 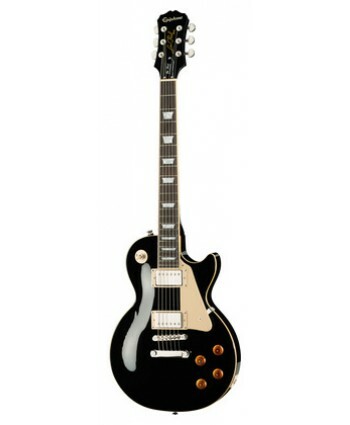 Epiphone Les Paul Standard Ebony , electric guitar, mahognay body, mahogany neck, rosewood fretboard, 42,67 mm saddle width, 628 mm scale lenght, 2x alnico classic humbucking pick-ups, Grover tuners, chrome hardware, trapez inlays, colour: ebony. Epiphone Les Paul Standard Plus Pro HCS electric guitar, mahogany body, flame AAA maple top, mahogany neck, rosewood fretboard, 22 frets, scale 628mm, 1x probucker 2 neck position and 1x probucker 3 bridge position humbucker pickups, trapez inlays, nickel hardware, 2x Volumencontrol (Coil Tapping) and 2 Tonecontrol , grover machine heads, colour: Heritage Cherry Sunburst. Epiphone Les Paul Standard Plus Pro VSB, electric guitar, mahogany body, flame AAA maple top, mahogany neck, rosewood fretboard, 22 frets, scale 628mm, 1x probucker 2 neck position and 1x probucker 3 bridge position humbucker pickups, trapez inlays, nickel hardware, 2x Volumencontrol (Coil Tapping) and 2 Tonecontrol , grover machine heads, colour: Vintage Sunburst.